Anaheim Calif. –Guests escaping to the Disneyland Resort in search of fun and adventure this summer will join forces with Guardians of the Galaxy as this intergalactic crew attempts its own escape in the rockin’ new attraction GuardiansoftheGalaxy– Mission: BREAKOUT!, opening Saturday, May 27, in Disney California Adventure Park. Heroes from the “Guardians of the Galaxy” film, some appearing for the first time in a Disney park, also come alongside the Avengers for all-new, epic adventures during SummerofHeroes. Beginning May 27, guests will live these exciting stories as they encounter some favorite Super Heroes together for the first time. 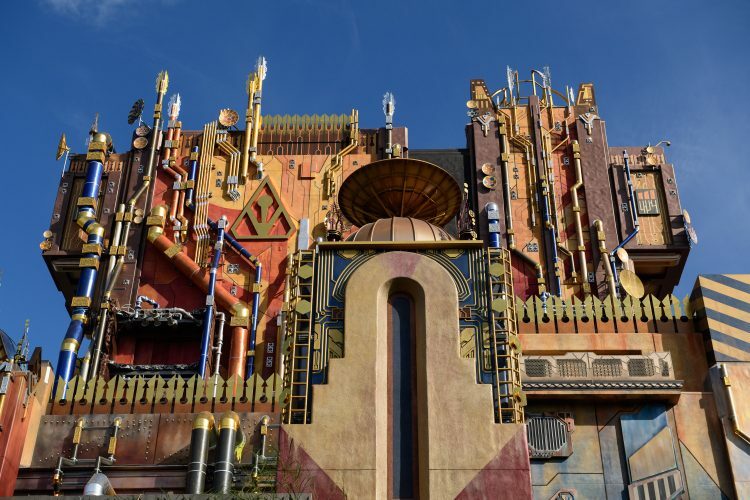 GuardiansoftheGalaxy– Mission: BREAKOUT! launches guests into an action-packed adventure that’s full of irreverent humor, combining a breathtaking free-fall sensation with all- new visual and audio effects. The action jumps to the beat of the attraction’s “awesome mix tape” of music, inspired by the films’ soundtracks. 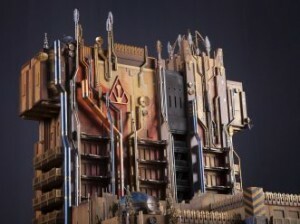 Guests will discover multiple ride experiences as they help Rocket in a daring plan to free the Guardians–a band of extraterrestrial misfits–from the fortress of The Collector, Taneleer Tivan. Guardians of the Galaxy – Mission: BREAKOUT! opens as a permanent attraction just in time for summer 2017 at the Disneyland Resort, and the Summerof Heroes inaugurates an ever- expanding universe of Super Hero stories at Disney California Adventure that will become even bigger over time. In addition, guests in the park’s Hollywood Land will join some favorite Super Heroes for epic, new experiences for a limited time. In Disneyland Park, the classic MainStreet Electrical Parade has been extended by popular demand through Aug. 20, 2017. The nighttime parade features beloved Disney characters and stories, half a million twinkling lights, the synthesized music of “Baroque Hoedown” and the heartwarming joy of nostalgia. Summer 2017 also marks the return of the nighttime spectacular “Fantasmic!,” the Disneyland Railroad and attractions on Rivers of America. SuperHeroEncounters: For the first time, citizens of Terra (Earth) will come face-to- face with Groot. They also may encounter the First Avenger, Captain America, and everyone’s favorite web slinger, the friendly, neighborhood Spider-Man. “GuardiansoftheGalaxy:AwesomeDanceOff!”: Star-Lord fires up his old-school boom box to get a party started. Everyone, including tree-of-few-words Groot, is bound to get in the groove and show off their moves during this awesome rock ‘n’ roll bash. “AvengersTrainingInitiative”: Black Widow and Hawkeye assemble young recruits for a series of tests to see if they have what it takes to join the ranks of the Avengers. In addition, the popular “PixarPlayParade,” presenting the colorful and exciting worlds of the Disney•Pixar pals from “Toy Story,” “Monsters, Inc.” “Finding Nemo,” “Cars” and others, has returned to Disney California Adventure with daily performances full of fun and surprising movement and effects. And PrincessElena, the adventurous heroine of the Disney Channel series “Elena of Avalor” and the first Disney Princess inspired by diverse Latin American cultures will greet her fans in the patio of Paradise Garden Grill. The summer months offer a last chance to view the lights, music and fun of the beloved Main Street Electrical Nightly performances through Aug. 20 feature favorites like Cinderella’s ball, Elliot, the smoke-breathing, tail-waggin “Pete’s Dragon” and the glittering “To Honor America” finale. As work continues on a new StarWars-themed land, set to open in 2019, the iconic DisneylandRailroad is preparing to return this summer to take guests on a tour of the They’ll enjoy a new look along the Rivers of America, with a spectacular new vista of a waterfall, rocky cliffs and a dramatic gorge below. Also returning this summer are the Rivers of America attractions: the Mark Twain Riverboat, Sailing Ship Columbia, Davy Crockett Explorer Canoes and Pirate’s Lair on Tom Sawyer Island. TheDisneylandResortfeatures two spectacular theme parks – Disneyland (the original Disney theme park) and Disney California Adventure Park – plus three hotels and the Downtown Disney District, comprising unique dining, entertainment and shopping experiences. The Resort’s hotels are the luxurious, 948-room Disney’s Grand Californian Hotel & Spa, which also features 50 two- bedroom equivalent Disney Vacation Club units; the magical, 973-room Disneyland Hotel – both AAA Four Diamond properties – and the 481-room Disney’s Paradise Pier Hotel with its “day-at- the-beach” theme. For information on attractions and vacations at the Disneyland Resort, visit Disneyland.com, call (866) 43-DISNEY or contact local travel agents. Located in Anaheim, Calif., the Disneyland Resort opened July 17, 1955. Open daily, year- round.